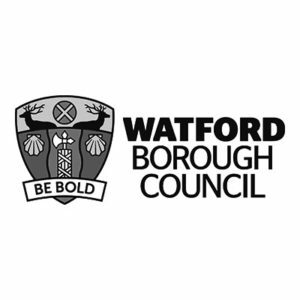 Watford Borough Council (WBC) has an impressive track record and an ambitious agenda for delivering high quality services, and championing sustainable growth in the Town. However, an LGA peer review of Watford’s messaging and communications output in early 2017 identified the need for a coordinated strategy to help Watford ‘shout’ about its successes. Following a competitive pitch process in Autumn 2017, BECG was appointed to a combined PR/PA brief to help promote WBC’s reputation as a bold and progressive local authority and a place where all communities can thrive and prosper. BECG reviewed in detail all communications output and messaging by the Council. This included engaging with local businesses and organisations to understand their relationship with the Council, reviewing existing materials, and developing fresh messages. From here we developed a detailed communications strategy, including public relations and public affairs recommendations, which was presented to the Council’s Cabinet and Leadership team. On a day-to-day basis, BECG is supporting the Council’s press office to gain coverage for innovations and activities in national and local government trade press and advising on activity in the political sphere to raise profile. Since working with Watford Borough Council, we have helped to build its national profile with coverage in national publications such as the Municipal Journal, Property Week and New Start Magazine.